Betty Lucille Hill Hanzel was born in Great Falls to Rose and Art Hill on March 18, 1937. She was welcomed into eternal life on Aug. 12, 2018. She is survived by her adoring husband, Laney Hanzel; her children, Duane (Margaret) Hanzel, Gregg (Debora) Hanzel and Beth (Mark) Pirrie; son-in-law, Michael Hensler; her brothers, Art (Shirley) Hill and Bill (Butsey) Hill; and her grandchildren, Lane Hanzel, Gavin Pirrie, Olivia Hanzel, Ellie Hanzel, Grace Pirrie, Hanna Hanzel, and Ganten Pirrie; as well as many close nieces, nephews and friends. She was preceded in death by her parents and her daughter, Gwenn Hensler. Betty married Delano “Laney” Hanzel and the two moved to Kalispell in 1959. Betty taught school at Evergreen Elementary for a short period of time and then devoted her teaching full time to her first love, piano. She actively taught piano lessons for over 65 years. She touched the lives of over 1,200 students through the piano. 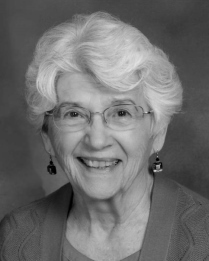 Betty used her skill and love of the piano to perform, accompany, worship and teach. Teaching “lessons of life” along with the piano was her gift to her students. While classical music was certainly a love, Betty also loved country tunes. Music followed her everywhere. Her love of family was evident to everyone who met her. Her ability to support and encourage her husband, kids, grandkids and friends made her a nurturer of people. She made sure to attend every possible event and performance; sporting, musical, academic and otherwise! Her love of nature and wildlife within God’s creation allowed her to become an avid gardener and green thumb. Betty’s faith was unwavering; not just her faith in God and the church, but in the lives of her husband, family and the many lives she has touched throughout her life. Always willing to open her house and make others feel at home and part of the family, she would add to her extended family. Enjoying life through playing games such as Mexican Train or 5000, along with singing and dancing were all a part of her interactions with others. Times with her family laughing and giggling until tears flowed were common place. A vanilla frosty was her cherished treat with each bite better than the last. Sharing her gifts of sewing and tatting with her granddaughters produced many a masterpiece. A compassionate person and devout Catholic, Betty was always willing to make herself available to help others in their time of need. Her put together nature produced a classy, polite, disciplined and loving person that truly was thankful for the life given to her. She gave glory to God throughout her life and relied on His guidance in navigating both the good and difficult times in her full life. Betty will always be remembered as a true master of cursive writing, with even a simple grocery list showcasing her beautiful handwriting. The change of seasons was a pleasure for her as they showcased the cycles of life and nature, with countless memorable trips and picnics to Glacier Park always leaning to the high side on the Going- to-the-Sun Highway. Special meaning in her family is given to the words “double batch,” which has produced some of the best desserts/meals they have ever shared. It is with extreme sadness on one hand that we say goodbye to this brave soul, and extreme joy on the other, that we are secure in the knowledge that she now rests with her Creator and Comforter in a place without pain and everlasting joy. Thank you, Mom and Nana, for giving us the best of your best in making our lives full. A rosary for Betty will begin at 11 a.m. Thursday. Aug. 16, followed by a Mass of Christian Burial at 12:10 p.m., both at St. Matthew’s Catholic Church in Kalispell. The family suggests memorial donations be made to either St. Matthew’s Catholic Church or St. Matthew’s School.